One of the reasons I joined a CSA is to try new things. And though I’d passed chard in the grocery store many times, and appreciated the colorful stalks, I never really knew what to do with it, so I passed it up. 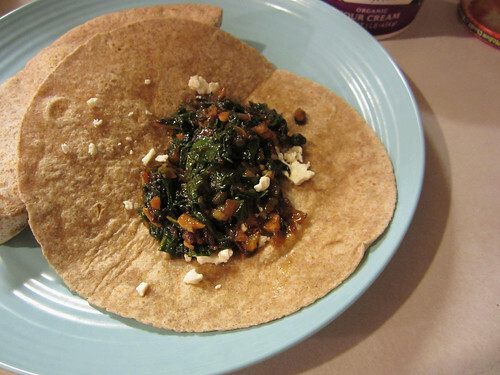 Well, there was a bunch of brightly colored chard in this week’s produce box, along with a recipe for chard tacos. Anytime I’m confronted with new produce, out of curiosity I head over to the World’s Healthiest Foods website to see how it measures up. After reading about chard, I think it’s become a regular player in my diet. Am I shocked it’s so good for us? Well, no. Leafy green vegetables of any kind have a pretty darn good reputation, but I had no idea this one was so instrumental in helping to regulate blood sugar levels. Further, it’s second only to spinach among the healthiest vegetables! For a complete nutritional analysis, please visit this link. All week I’ve struggled with eating meat (this happens to me now and again), so a vegetarian option for tacos sounded pretty nice to me. But I confess, I did have my doubts as to what these tacos would actually taste like. And you know what? I was more than pleasantly suprised. If you’re looking for a nice, summery meal that your bank account will thank you for, give these a try. 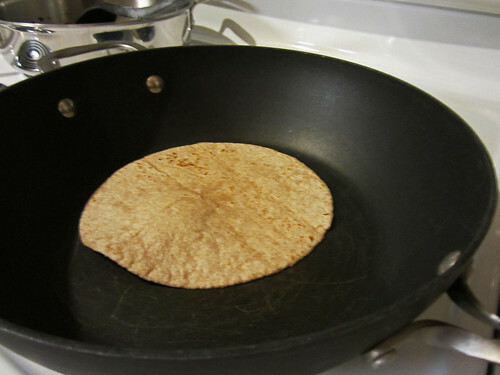 Notes: I used whole wheat tortillas, but if you use corn tortillas, the recipe is gluten-free. Also, the original recipe called for queso fresco, which I’ve had trouble finding. 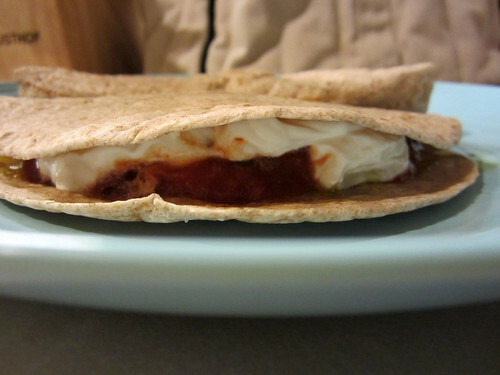 An Internet search listed mild Feta as a substitute. I’m not a fan of the salty, briny flavor of feta, though I thought I’d give the mild version a try. Yup, still not a fan. I’ll take my Mexican cheese blend, or plain ole cheddar, anyday. Heat olive oil in large skillet over medium heat. Add onions with a pinch of salt and cook until lightly browned, about 10 minutes. Add garlic, cumin, chili powder, and cayenne; cook until garlic is fragrant. 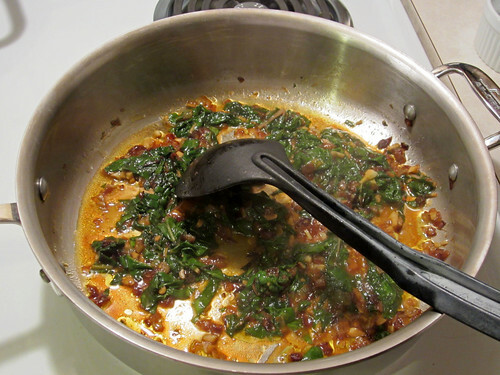 Add chard and water, cover and reduce heat to low, cook for 5 minutes, or until chard is tender. Remove cover and increase heat to medium; cook until water cooks off. Taste for seasoning and adjust as needed. Remove from heat and set aside. Top each tortilla with a spoonful or two of chard, a sprinkle of cheese, a generous spoonful of salsa, and a spoonful of sour cream, if you wish.